The word gemba means 'the real place' in Japanese. 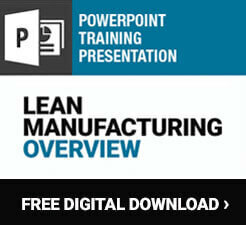 This term is often used in workplaces practicing Lean manufacturing to refer to the place where work is performed. Gemba is the place where value is created for the customer. 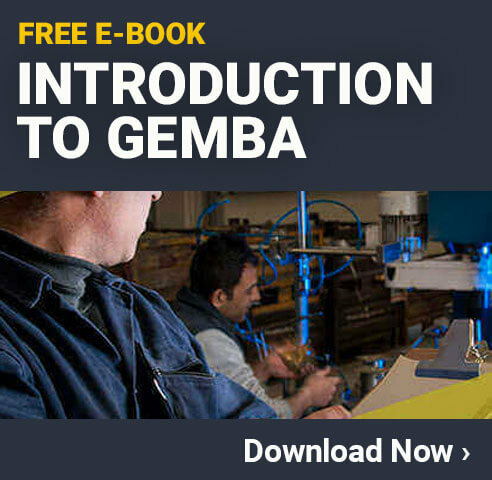 At a business that manufactures and sells a product, gemba could be the assembly line, the shipping department, the warehouse, the sales office, or the conference room. It could even be in the store where customers interact with products. Gemba is any place where the action occurs. A gemba walk is a tool often used by management to get out into the workplace and actually see what's going on. It's based on the idea that for processes to improve, changes must be based on facts learned from observing work. Studying data about the workplace from an office may provide some insights into what's happening, but to actually understand the ins and outs of processes, people must go to the gemba to look, listen, and question. The term genchi genbutsu is sometimes used in place of the term gemba walk since it has a similar meaning. It is often translated as 'go and see for yourself' or 'go and see the problem.' The word genchi refers to the actual place and the word genbutsu refers to the actual materials or products. In theory, a gemba walk may sound pretty simple; it involves someone going out into the workplace to see what's happening. To a certain extent, this is true. But learning to use gemba walks in a workplace takes time and practice, and businesses must determine how to use gemba walks in a way that's useful for them. Who: Gemba walks are traditionally performed by managers and even executives (although anyone can participate in a walk to observe how processes work). What: Gemba walks involve seeing how things currently work and looking for potential problems. Some walks have themes to help the walker focus on a particular part of a process. For example, a walk might focus on looking for various kinds of waste. Where:Gemba walks can cover an entire value stream at once, but they often focus on more specific parts of a process to avoid information overload. A walker might start at the shipping department where products leave the site and head backwards through the production process. Or a walker might tackle these locations on different days. When: The frequency of gemba walks depends on the situation and on who is performing the walk. A manager might want to take a daily walk to see the details of processes regularly. Executives might take walks weekly or monthly. Why: Gemba walks take place so people who are not out on the shop floor (or in the sales office, the warehouse, the reception area, etc.) all day long can see what's actually occurring in the workplace. Gemba walks should not be confused with Management by Wandering Around (MBWA), which seems similar to a gemba walk on its surface, but doesn't yield the same results. MBWA usually occurs at random and without specific plans. When a manager is out looking around, it's often to check up on workers and on production. This leads to the feeling the management is out to catch people. Gemba walks, on the other hand, are about engaging with and developing people. Why Are Gemba Walks Important? Gemba walks make a difference in the way managers, executives, and other decision makers see the workplace. These walks are important because they help leaders reconcile the vertical with the horizontal. What does this mean? Businesses are vertical and often complex. Managers look upward in the organization for direction and executives look down to managers for information about what's going on in the workplace. Meanwhile, value flows horizontally across organizations to customers. Value is added to products on the work floor by the people and processes that make them. Gemba walks help people at different levels of an organization see this horizontal value-creation process and make sense of the data they usually only hear about. These walks take managers and decision makers away from desks and computers and into the places where work is performed. By taking walks, these people can make better, more informed decisions. Gemba walks are a Lean management tool that fits in with many other Lean manufacturing concepts. The focus of a Lean manufacturing system in general is on identifying waste in work processes and eliminating it. That way only things that add value for the customer are performed or included. While a gemba walk can focus on many aspects of processes, it is possible to look for specific types of waste while on a walk. Muda is the Japanese term for waste, and there are many types of waste in the workplace. Often, these wastes arise because of unevenness in the way work is performed (called mura) and strain on people or equipment (called muri). By eliminating these 3 M's "muda, mura, and muri" businesses can improve efficiency. Consequently, looking for muda, mura, and muri while on a gemba walk can help people start to identify waste and get to the root of potential problems. Any efforts that do not add value. Unnecessary transportation - Moving materials and products more than necessary. Over-production - Making more of a product than necessary. Unnecessary motion - People moving more than necessary to complete a task. Waiting - People or items spending time waiting to begin the next step in a process. Inventory - Having more items or materials on hand than needed. This can lead to things becoming obsolete before they're used. Over-processing - Work performed in processing that doesn't add additional value for the customer. Defects - Materials or products wasted because they do not meet quality standards. Unutilized talent - Workers knowledge and skills aren't being used effectively or in the best way possible. Unevenness of work or efforts. This unevenness can lead to many of the types of muda listed above. Mura occurs because people, materials, or equipment are not used in the most productive fashion. Production might occur in bursts or always be heavier in the morning than the afternoon. When this happens, workers might spend a lot of time waiting around during other parts of the day. Meanwhile, during busy times, people might experience unnecessary stress. Muri is caused by overburdening people or equipment, which can lead to fatigue, stress, accidents, injuries, breakdowns, and increased defects. This overburden could result from setting unrealistic expectations, requiring a lot of rush orders, or even having poorly designed workstations that lead to ergonomic injuries. Businesses need to have the right amount of people and machinery handling the correct amount of materials so the appropriate amount of products can be produced. Identifying and reducing any muda, mura, and muri can help achieve this. While on a gemba walk, the main objective of the walker is to observe things as they are. That doesn't mean, though, that changes can't be made based on observations. The Lean concept of the PDCA cycle which stands for Plan, Do, Check, Act focuses on identifying current standards, looking for ways to improve those standards, and implementing new policies. Gemba walks can be used to inform the PDCA cycle in a workplace. The Lean concept of kaizen, often referred to as continuous improvement, is used in many workplaces as a way to involve everyone in the organization in making small changes to the way things are done. In an organization that practices kaizen, people learn to look for small ways to improve work practices and test them out to see if they will work. Kaizen is a practical way to approach the workplace. It's also a philosophy and a mindset that becomes part of the way people think about work. Gemba walks can help facilitate the creation of a workplace where people learn to look for possible improvements, especially when walkers engage with people on the work floor. Businesses that make instructions visual by posting signs or using 5S organizational methods know that the workplace tends to function better when people can easily see what they need to do. 5S, a systematic approach to organization, stands for Sort, Set in Order, Shine, Standardize, and Sustain, and it focuses on assessing the items present in the workplace, removing things that are unnecessary, ordering everything that remains, and maintaining these standards. 5S uses visual cues such as shadow boards and floor markings to help maintain these processes. A workplace that uses visual management tools such as 5S can make it easier for business leaders to conduct gemba walks. In this type of workplace, anything out of the ordinary will likely be more apparent because of the visual nature of work processes. Any changes made as the result of a gemba walk can also take visuals into consideration. It's possible using visual cues such as instructional signs and labels to describe changes can help make the transition to new procedures easier. While going out into the workplace right away and taking a look around might have some merit, it's best to plan ahead for gemba walks. Those doing the walk need to have a clear purpose in mind, a good understanding of standard procedures, and the appropriate mindset. Gemba walks are not easy or productive right away. Having a successful walk takes practice. During most gemba walks, the goal is to observe the value-creation process. This could involve walking the entire process at one time, but more often it consists of focusing on a particular part of the process. This could mean visiting just one department, or it could mean visiting several departments with the intention of looking at particular issues (for example, only looking for unnecessary motion or overburdened people). Some walks even occur because someone wants to observe a reported problem. When someone looks at too much at once, the amount of things to look at can get overwhelming and observations can end up vague. On the other hand, though, it's good to have an open mind in case something important but unrelated to the initial goal for the walk comes up. When going to gemba, observation plays an important role. On a gemba walk, a person should go out and see. He or she should begin a dialogue with workers. The purpose is not to go out and solve all visible problems right away. Doing so can actually alienate or intimidate workers by making them feel like management only comes around to make changes or check up on them. In many cases, the workers performing tasks have the greatest insight into what's wrong with a process and what could be improved, so soliciting their input is important. In a more general sense, it's also important to keep the purpose of the business in mind while on a walk. Presumably, a business purpose is to solve a customer's problem with a product. While walking, the walker should think about how what he or she sees relates to creating a valuable product that solves the customer's problem. While on a walk, the walker evaluates the value-creation process. Doing so requires having a solid understanding of what standard operating procedures are and what the process should look like. This kind of knowledge comes in part from seeing things first hand, but those preparing for gemba walks should still make sure they know everything about processes that they can before leaving the office. To prepare for a walk, the manager or decision maker could create a value stream map, which depicts the parts of the value creation process. He or she could also use a spaghetti diagram, which draws the path an item takes during the manufacturing process. Spaghetti diagrams can help identify waste. They are also useful Lean management tools for use during or after a gemba walk if the walk focuses on waste. Walkers should also know their people. They can get to know people while on walks, but they should know who performs what tasks and what each person or department's responsibilities are. Although walkers should have a good understanding of processes before heading out on a walk, that doesn't mean they should make lots of assumptions about what they'll see. Having an open mind is key to gemba walks. Those taking walks should try to observe without making judgments or jumping to conclusions right away. Often, this means they will do more listening than talking while on a walk. The other important part of a gemba walk mindset is respect; walkers must respect workers, listen to their input, and not tell them what to do. These workers often know the ins and outs of processes. Consequently, their opinions are valuable and they should be treated as such. When managers, executives, and others go to the gemba and show respect, chances are the walks will be much more successful. During a gemba walk, the person walking must think about purpose, process, and people. This means keeping the purpose of the walk in mind, but also looking to see how the process and people involved help achieve the larger purpose of the business - fulfilling the needs of customers. Take your time. Observe what's going on. Engage with workers. Ask questions. Coach workers on critical thinking skills. Look for muda, mura, and muri. Identify which activities add value, which do not, and which are non-value-added but still necessary (such as complying with government regulations). Takes notes, photos, or videos, if doing so will help you remember what you saw. Is it clear what standard work is? Which activities don't add value? Is the process consistent or does it vary? Does the layout of workstations/equipment make sense? Do workers need additional training? Do materials pile up at certain places in the process? Do people spend time waiting? Is documentation available for workers to consult? Are employees skills being utilized? Is communication a problem at any point in the process? How do you perform this task? Do the tools and machines you need work well? Do you encounter any problems? Is there anything you would like to change about the way this task is performed? Do you feel you have the resources and support you need to do your job? Gemba walks may take 20 minutes or they may take several hours. The duration depends a lot on the goals for the walk and the processes being observed. Walkers should take their time; sometimes a walk actually involves more standing than walking. Walkers should also really listen to workers. Even if the person conducting the walk sees a problem, he or she shouldn't immediately try to fix it. Getting input from the people performing the task and then spending some time reflecting is a better approach. Unless there's an imminent safety hazard or issue that could cause a big problem for operations, it's best to avoid insisting on adjustments right away. An important thing to remember: Not everything can be fixed with one gemba walk. Gemba walks may result in some benefits right away, but really they will be beneficial in the long run. Users shouldn't expect to see immediate financial gains or treat gemba walks as just a tool for quickly improving the bottom line. When the walk has been completed, it's time to reflect on observations. Those involved in the walk should reference any notes or photos taken, or write up a list of observations based on what was seen. Some practitioners may find a gemba walk checklist useful. Which of these problems are most pressing? Do observed issues have anything in common? Are the problems related to standard operating procedures themselves or is something preventing SOPs from being followed? How can the observed problems be fixed? Who should be responsible for fixing problems? Walkers can make plans for solving observed problems. This might involve asking a supervisor to assign tasks to certain employees. It might also involve giving more general instructions that allow a department to try to fix a problem itself. Plan: Decide what changes need to be made. Check: Follow up on these changes during a future gemba walk to ensure they're working. Act: If they are working, make these new procedures the new standards for performing work. When walks are performed and adjustments are made over time, workers will also begin to think about ways processes can be adjusted and get involved in continuous improvement efforts. This can help create an environment where people feel empowered to be proactive about the way things are done. Tip: Some organizations develop systems for reporting the findings of gemba walks to people in other departments. This could involve posting them in a visible area or sending out an email. Doing so can keep people in the loop about possible issues and upcoming changes. Fujio Cho, Chairman of the Toyota Motor Corporation, has been quoted as saying management must 'Go see, ask why, show respect. Management must go to the gemba to observe work processes. Management must ask why things are done the way they are. Management must respect workers and listen to their thoughts and opinions. By doing this regularly, managers and business leaders can develop workplace cultures where workers see that those in charge care about what happens in the facility on a daily basis. When workers see management is concerned about their jobs and about what's actually going on, they'll be more likely to do quality work. By engaging with management, workers may also learn to think more critically about tasks and seek out ways to improve them. For managers, there's no magic key to successful gemba walks. These walks take practice. Walkers must practice observing, asking questions, and keeping an open mind. But by making gemba walks a regular practice in the workplace, the facility can become a place where everyone is involved in the cycle of improvement.